Nothing heralds spring quite like the Dombeya. The “Bushveld pride” is a wonderfully apt name for the wildpear which when in flower is unmistakeable. The Wildpear has a single trunk, often controted and found in a variety of veld types; bushveld, rocky hillsides, and along river banks. 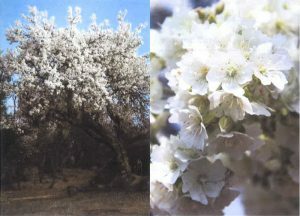 They are amongst the first trees to bloom after the dry Highveld winter, and their lightly scented, star-like, white papery flower clusters, born in profusion, are in sharp contrast to the dry brown look of the veld. When driving down the Club House at Woodmead take a moment and cast your eye towards the Dombeya Rock outcrop on your right hand side and there you will see the wildpear tree, with its dark-brown to black, rough and deeply fissured bark, and densely branched canopy. Come early spring it will be decked out in masses of creamy-white blossoms, sometimes pink and sometimes with a green tinge. It’s quite a treat anticipating the moment when it will burst into flower. Spring has then truly arrived. The scented flowers contain abundant nectar and pollen which attract bees and butterflies. As the flowers go off, the petals begin to turn a light brown. The flowers are followed by tiny spherical brown fruits which become evident in early summer. Rotundifolia refers to the shape of the leaf. The distinctive leaves are alternate, large, oval to almost round and with a scalloped margin. The leaves are dark green above and somewhat paler below. Veins show prominently on the lower surface. The leaf is rough and almost sand paper like to the touch. Larvae of several butterfly species feed on the tree. Interesting to note, the flowers of the Dombeya at Dombeya Rocks were exceptional in 2011, whilst in 2012 the tree hardly flowered. When it did, it flowered late. In 2013 it only flowered for a very short spell. However, the Dombeya trees elsewhere on the estate flourished profusely. One may ask why? 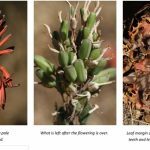 It has been recorded that the trees of the same species flower en masse in certain years, followed by comparatively poor flowering for a while thereafter. This apparently is due to the amount on energy required to produce a profusion of flowers over a long period. 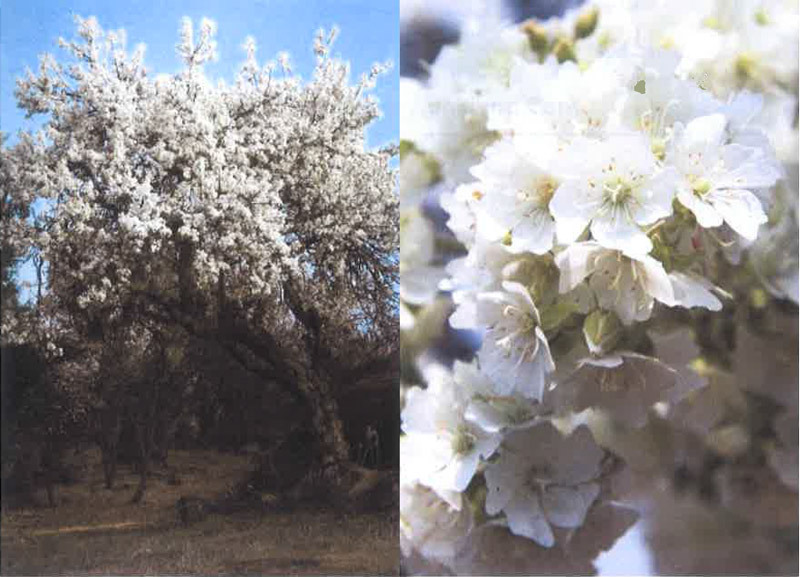 Considering the age of this wildpear tree, this may well explain why our signature Dombeva does not flower prolifically each and every year. 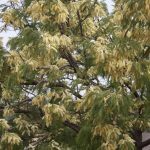 The’wildpear’ alias Dombeya, grows particularly well in out natural copses on the Greater Woodmead Estate where they enjoy the protection of the other tree species from the harsh Highveld conditions of cold winds and severe temperature drops. We await the flowering of our signature Dombeya this year with a degree of interest and excitement. Will it be a good year or not?